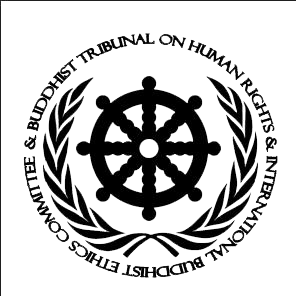 I. Affirms that Buddhist Law is the most ancient customary juridical institution of defense of human rights, by protecting the inherent dignity of life, like the human right to peace and to a healthy environment, in order to build a global civilization governed by the Law. II. It calls for the fulfillment of human rights and fundamental freedoms of tribal people, especially of Buddhist communities and their distinctive spiritual lifestyle based on self-determination and liberty. III. It expresses the hope that the tribal peoples of Latin America recover their physical integrity, mental development and their spiritual evolution, fulfilling the dream of the Argentine hero Manuel Belgrano. IV. States that the different governments of Argentine Republic have ruled in favor of the powerful ones, the rich, successful and relatives, systematically incurring corruption and impunity, instead of governing for the general welfare of society. V. Solemnly establishes that every law or decree of the Argentine government which attempts against the equality and non-discrimination must be denounced by the Buddhist Ethics at an international level. VI. Declares the laws and decrees of the Argentine Government such as laws 21745 and 21950 and Article 1 of Decree 711 as illegal, among others, which have been established to partially and discriminatorily favor the Catholic Church, by continuing to violate the equality rights that have religious minorities and tribal people who inhabit the country, which have the human right to have access to the same benefits. VII. Condemns the interference in other countries' internal affairs which is usually carried out by the Vatican State, especially in its daily communications with Argentine officials in the executive, legislative and judicial Powers. VIII. Appeals to the compassionate wisdom lying potentially hidden in the Argentine Presidency in order that makes Buddhism appropriately, by means of an exemplary, righteous and unselfish lifestyle, by correcting with humility and effectiveness the serious errors denounced in this Declaration, in order to be capable of following the ethics of detachment, the path of reconciliation and the practice of solidarity developed by masters Gautama and Jesus in the world.